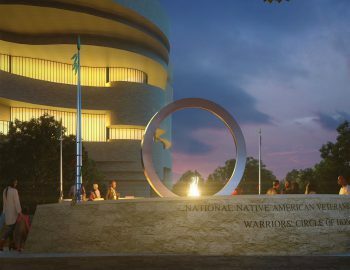 From the Smithsonian Newsdesk, “The jury for the Smithsonian’s National Museum of the American Indian National Native American Veterans Memorial has unanimously selected the design concept submitted by Harvey Pratt (Cheyenne/Arapaho) titled “Warriors’ Circle of Honor.” Groundbreaking for the memorial is slated for September 21, 2019. It is slated to open late 2020." 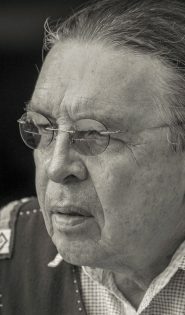 Harvey’s design concept is to create a special place for all indigenous people to come for remembrance and healing. The Sacred Circle represents heaven, earth and the pathway followed by honor bound Native People. Wind Spirits can pass through the stainless steel Sacred Circle. Water, fire and the drum are the central design elements within the circle. Water represents purity, prayer, cleansing and reflection. Flowing over the drum, water softly pulses over circular ridges, suggesting vibrations of voice and drumbeat in a Kasota limestone basin. Fire symbolizes strength, courage, endurance and comfort. The drum is the heartbeat of the memorial and connects all the elements. The outer wall is comprised of four sections. It provides an outer perimeter and allows private meditation space on the interior benches. Legacy Footprints are integrated along the outer walkway and represent warriors of the past, present and future; white (beginning), red (power of the Creator), yellow (Mother Earth), black (ancestors). The Warriors Traditional Red Road, made of red stone surrounding the outer wall, represents the way of life leading to harmony. Visitors and guests can tie prayer cloths at the base of the four lances for their loved ones. The wind will send the prayers to the Creator. A video of Harvey’s initial design concept was presented at the “Meet Your Designers” public event on February 7 and can be viewed on YouTube. The finalists shared their final design concepts on June 11 and Harvey’s presentation can be viewed on YouTube. The investigative team, David Paulides, Harvey Pratt, Gina Pratt and Dennis Pfohl, take an in-dept look at two cases from the Missing 411 series. As long as we have walked this earth, some say they have secretly walked the earth with us. Always curious and searching for answers to unsolved mysteries, forensic artist Harvey Pratt readily accepted the opportunity to become involved in one of the world’s greatest mysteries. 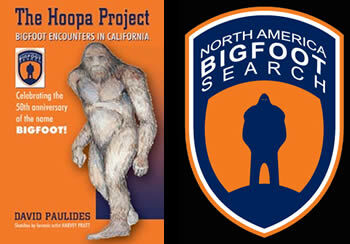 The North America Bigfoot Search has brought together years of law enforcement investigative experience and forensic artistry to the field of Bigfoot studies with it’s new book The Hoopa Project: Bigfoot Encounters in California. The Executive Director of North America Bigfoot Search, Dave Paulides has spent the last three years researching and working in the far northern portion of California’s Humboldt County, concentrating in the area of the Hoopa Valley Indian Tribe jurisdiction. His book, The Hoopa Project chronicles his research on Bigfoot. For this project, Harvey was commissioned to meet with witnesses who saw a Sasquatch and complete forensic sketches based on his interview with them. 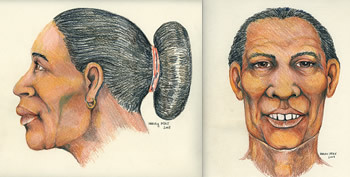 He met with 13 witnesses and completed 16 forensic sketches that are featured in The Hoopa Project book. The drawings bring forth the surprising conclusion that Bigfoot’s facial features appear to be more human than originally thought. In March 2000, the Kingdom of Cambodia set up the Cardamom Conservation Program covering 993,000 acres of forest in southwest Cambodia. The mountains mainly lie in Koh Kong and Pursat Provinces, with a small portion lying in Kompong Speau. Tiger trackers in the mountains soon reported the discovery of jars containing bones in remote caves in several sites. The jars containing human bones and other remains were found in at least 12 rock overhangs at four sites in the Cardamom Massif. It is estimated that 130 bodies are buried at these sites and date between 1415 AD to 1526 AD. Local legend says they contain the bones of ancient royalty; another theory is they are a previously unknown group of Khmer who used a burial ritual different from those known in Khmer culture. Researchers Nancy Beavan Athfield, Rethy Chhem and John Miksic are now working to determine who the people of the Body Jars are, and have commissioned Harvey to do a reconstruction of a skull from the site, to reveal the Face of the Body Jars people. An ongoing project for Harvey, this thirty-seven foot long mural depicts OSBI’s history, employees, events and case history. From OSBI’s earliest beginnings, the mural progresses from sepia color to the present in full color. The mural can be viewed by appointment at the OSBI Headquarters Building. A seven-foot relief depicting an American Bald Eagle standing on a Native American shield was recently dedicated at the Oklahoma State Bureau of Investigation. 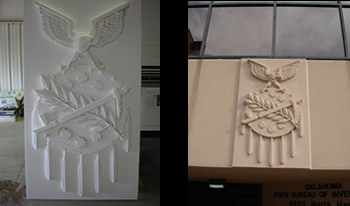 The sculpture, created by Harvey, rests above the front door at the OSBI Headquarters Building.